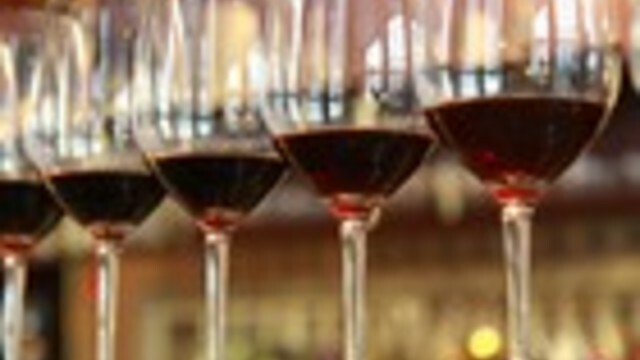 You drink wine but would like to learn more about it? Maybe you feel rather comfortable ordering Californian or Australian wine but can’t really make sense out of French wine? Or maybe you know the grapes you like but would like to learn more about the French regions. 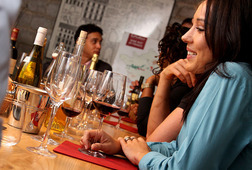 If you’re coming to France and feel like learning about French wine would be a good thing to do – maybe just for the sake of being able to order the wines you like at a restaurant - then this tasting is for you. The tasting starts at 5pm in our beautiful venue located right near the Louvre. 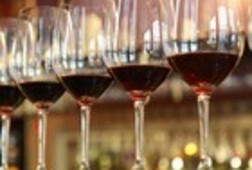 We’ll taste six different wines, coming from 6 different regions of France. From Champagne to Bordeaux, from Sancerre to the Rhone… just sit back and enjoy the Tour de France of wine! This tasting class is both informative and fun. In just two hours, you will learn a lot, and will taste good French wines. Then at 7pm or so, we’ll let you go – vaguely tipsy maybe – for the rest of your Parisian evening! 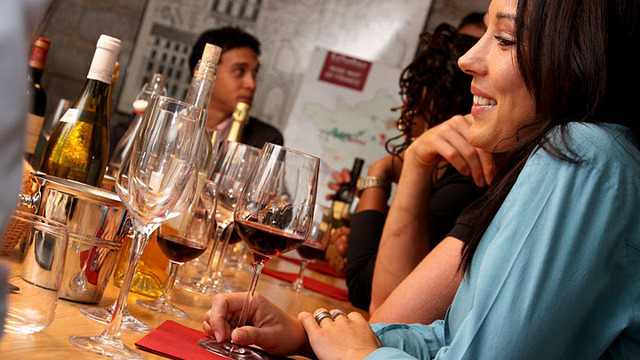 We think you’ll find this tasting to be the best of all Paris activities. We did the wine tasting last month, May 2014. We had a fantastic time. It was a great introduction to French wine, and very entertaining and informative. My only regret is that we didn't buy a bottle to take home with us. highly recommended. Really cool experience. Learned a lot. The venue is very nice and situated in a great area. The guy at the check-in counter was awkward and a bit clueless but the tasting class was superb. If you have plans to visit Champagne or any other wine regions, do this first. You'll be glad you did. Our Wine Tasting was one of the highlights of our visit to Paris. Nils, who was the presenter, was entertaining and informative and the cellar setting for the Tasting was beautiful. As New Zealand and Argentine wine lovers with little knowledge or understanding of French wines, the time we had with Nils was outstanding. We learned so much! We highly recommend this experience to anyone who enjoys wine and wants to learn more about and taste some of the great wines of France. Well organized with even better execution! 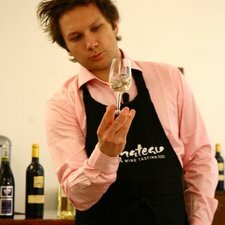 The sommelier was animated and hosted the event marvelously, you learned something too. I would recommend it as an American traveler to anyone! We are so glad we decided to do the wine tasting experience. The space was lovely and very comfortable after a full day of walking. Pierre took us on a tour of the French wine regions with humor, knowledge and some truly delicious wines. I would highly recommend this to anyone visiting Paris.